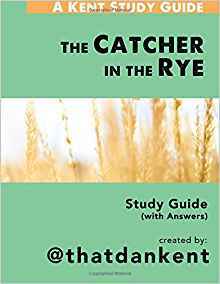 JD Salinger's masterpiece The Catcher in the Rye is an endlessly thought-provoking story of a boy coming of age in a world of "phonies." With one of the most loved voices in 20th century literature, Salinger explores what it means to assimilate into society (what is lost, and what is gained). The protagonist, Holden Caufield, struggles to remain himself in a world trying to make him into someone else. This study guide will help readers track with the key items and ideas of the story, while helping readers explore some of the deeper, more profound themes. The guide will help readers see both the storytelling brilliance AND the philosophical brilliance of this classic book. This study guide includes chapter-by-chapter thought-provoking questions (paid versions also include answers).